You recently commented, "Genealogical research is not just for myself, or for my children, but for connecting spiritually with my ancestors and perpetuating their memory---and hopefully living up to that heritage." How did learning that you are a descendant of Rebbe Raphael of Bershad help you grow in your Yiddishkeit? Genealogical research has been a part of my life for a long time, but, for years, I concentrated my efforts on my husband’s family, because his ancestors have lived in the U.S. for generations, whereas my grandparents immigrated in the late 19th and early 20th centuries, and I thought there wouldn’t be much to find. Over the past few years, however, many databases have become available for online research, and I recently decided to explore them for more information on my own ancestors and extended family. I searched through U.S. Census pages, JewishGen databases and discussion groups, Ellis Island ship manifests, naturalization records, World War I and II draft registration cards, Social Security death indexes, NY Times marriage, birth, and death announcements, and cemetery records. 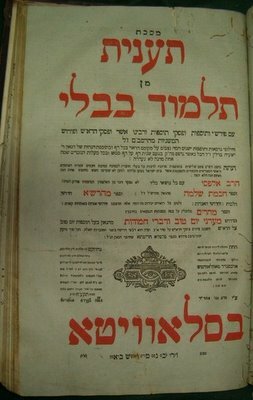 Long ago, my mother had provided an outline of family names and relationships, but through my research, I was able to fill in many more details: not just my relatives’ dates of birth and death, but also their Yiddish names, dates and ports of immigration, birthplaces, relatives in the old country and the U.S., mother tongues, street addresses, household members, marital status, names and ages of children, places of employment, occupations, and final resting places. My family history also includes eulogies, letters, poems, essays, anecdotes, and other material that reflects their personalities and their deeds. Tracing the lives of my relatives through the records has made them very real to me, and I feel close to all of them, despite our physical and chronological separation. I have shared my family history with my sister and other relatives, and it will be passed along to our children, so that future generations will also know their heritage. Some months ago, I looked through a packet of letters I’d inherited with my mother’s personal effects. Among them was an old letter from her cousin, asking my mother whether she knew that their grandfather, who was from Bershad in the Ukraine, was a descendant of a famous rebbe she referred to as “Raful der Bershader,” who was a tzaddik. She noted that if their grandfather was a descendant, then they, too, as his grandchildren, were descendants. The cousin mentioned that she had found some of his wise sayings in libraries. It occurred to me that, if this ancestor was so famous, I might be able to find some information about him on the internet, so I began my search. And, indeed, I found a number of quotations and stories attributed to Rebbe Raphael of Bershad, as well as some legends about him. I learned that his teacher, Rebbe Pinchas of Koretz, had been a follower of the Baal Shem Tov, the founder of Chassidism, and that R’ Raphael’s teachings were closely intertwined with those of his mentor. After the death of R’ Pinchas, R’ Raphael became his successor, surrounded by a group of disciples. In every aspect of his life, R’ Raphael was simple, pious, humble, loving, peaceful, joyous, and totally devoted to truth, yet he was always striving for self-improvement. 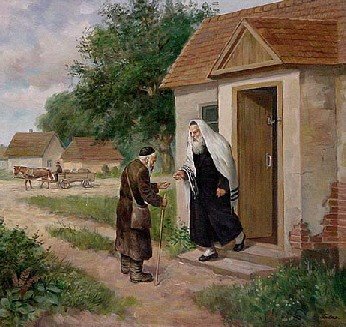 While searching on the internet, I came across the blog of A Simple Jew, and I began reading it every day to learn more about the Chassidic world of my ancestors. 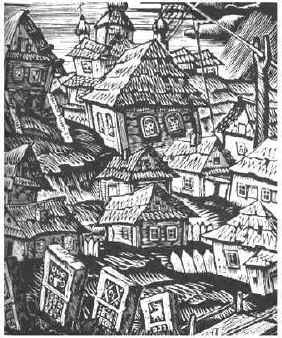 I thought that the more I learned about the modern-day Chassids, the better I would understand the way of life of my ancestors in the Ukraine. 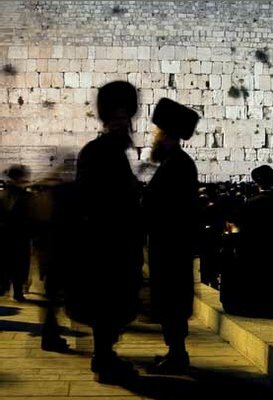 As a Jew raised in the Conservative tradition and leading a rather secular life (although my home, ironically, is in the midst of a Chassidic neighborhood), I knew little about the beliefs and practices of the Chassidim, but I found the discussions fascinating. Since so many contributors mix transliterated Hebrew words into their comments, I started writing a glossary of Hebrew expressions and their meanings. I also began reading articles about Jewish history and philosophy on other web sites and at the Hebrew University library. One of the volunteer translators was a kindred spirit who had worked on the genealogy of her own family; she told me “we are in this together!” and she became my collaborator, my guide, and my dear friend. Both ASJ and A Yid recommended that I purchase the Imrei Pinchas HaShalem, a compilation of the works of R’ Pinchas of Koretz which also contains biographical information on R’ Raphael. I hesitated because I didn’t know enough Hebrew to read it on my own, but I realized that it was a tangible part of my heritage, so I bought two sets: one for myself and one for my sister. By an amazing coincidence, I discovered that my translator friend also had this beautiful work on her own bookshelf, and she offered to translate passages for me! 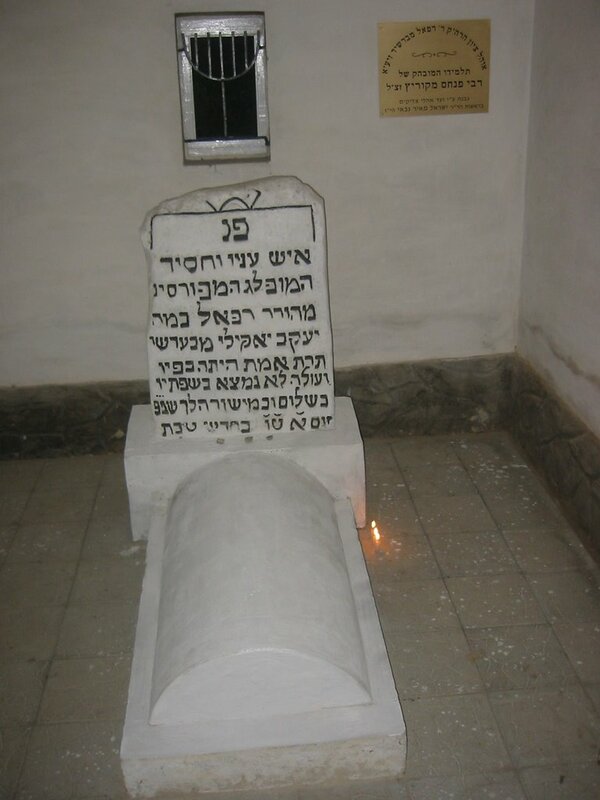 In addition, since she speaks Yiddish as well as Hebrew, my friend contacted Rabbi Yisroel Meir Gabai, the rabbi who restored the graves of R’ Raphael and R’ Pinchas (as well as those of the Degel and of the Baal Shem Tov), and Rabbi Elimelech Elazar Frankel, who published the Imrei Pinchas, and asked them our questions about various aspects of their work. Rabbi Frankel also knew of another descendant of R’ Raphael who lives in Israel, and he introduced us to one another. My new-found cousin and I believe that our great-grandfathers were brothers or cousins, and we’ve been sharing documents, photos, and the life stories of our grandparents. Her grandmother moved, with her family, from Bershad to Rumania and then to France, where she died in the Holocaust. This cousin has visited Bershad and shared her photos with me. Through her contact with Rabbi Frankel, she has provided information on R’ Raphael’s children and grandchildren. I also contacted another known descendant of R’ Raphael, who was born in the U.S. but now lives in Israel; her parents were from a small shtetl near Tarashcha. Then, I decided to get in touch with some of my living relatives. I contacted two 2nd cousins whom I have never met, and the three of us have traded stories and shared old photos of our grandparents’ families. These cousins have both inherited family trees (if they are able to send me copies, my friend will translate the Yiddish names, and perhaps we will be able to complete the links between the generations!). I also shared my experiences and information with my sister and her family. She has embarked on a project of scanning and labeling the photos in our old family albums so that we can share the digital files. During a recent visit, we sorted through a box of old letters together, unraveling some small family mysteries. In addition, I talked with several elderly relatives, who told me about themselves, their own branches of the family, and their memories of my mother and grandparents. I heard sad stories and amusing anecdotes. It was wonderful to reconnect with relatives I hadn’t spoken to since I was a child, and I know they found it a heart-warming experience as well. The invisible bonds between members of a family are constant and eternal. My translator friend, who is Chassidic, has opened up her heart to me. We began working as a team, sharing genealogical information and exploring ideas together; gradually, we also shared photos, web links, clippings, and memories. We discuss cultural issues, such as recipes for kugel and styles of women’s clothing and head coverings, and serious topics, like the Holocaust, faith, and miracles. During the recent holidays, she taught me about holiday rituals such as Tashlich, Kaparos, and beating the hoshanos on Hoshana Raba. I could imagine my ancestors in Bershad performing the same rites. My friend’s example of obedience to the mitzvot and always striving to learn more and do better is an inspiration to me. She is willing to answer any question; she is not shocked or made uncomfortable by my unorthodox attitudes and questions, but she patiently explains Chassidic tenets and practices, and the reasons for them. She once told me that our souls stood side by side, like sisters, at Mount Sinai, and that Rebbe Raphael is waiting to welcome me home. Her warm, nurturing acceptance of me is helping me bring forth the questions and thoughts that I have suppressed for many years. 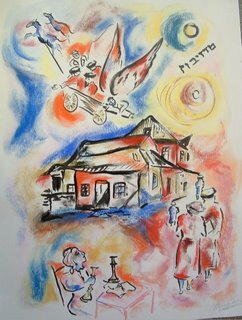 I feel that my life is changing and I am coming home to Judaism as I gain a deeper understanding of my spiritual roots. But this is a process, and I am still near the starting point. I feel that by rediscovering Rebbe Raphael and telling my children, and others, about his humble piety and his wise teachings, I am reconnecting with him and, at the same time, perpetuating his memory and bringing honor to him. And by writing the stories of my relatives, I am also keeping them alive in memory for the generations to come. In so doing, I hope I am becoming a better person and growing closer to G-d. Perhaps, someday, I will again stand side by side with my beloved parents, my revered rebbe, and my dear friend. "It's all about "group think" today. Truth is irrelevant and despised – on a group level – and while many individuals may indeed seek it, they are discouraged and insulted if the dare expose that to others. " 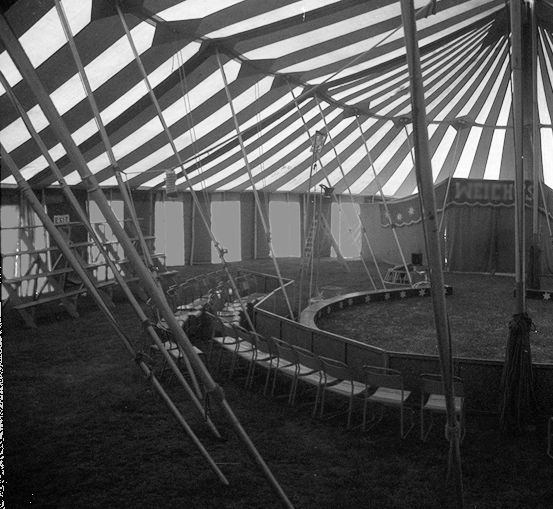 An interesting conversation started over in the Circus Tent. Do not be overanxious to know secrets between one man and another, nor that which is hidden from you. "We Do A Disservice By Using A Moshul Like That"
Do you not think that it's kind of forced illustration? Personally, I understand Lech Lecha more like this: Imagine a man who has a close relationship with G-d for many decades – he was tested and rose to the occasion on many occasions – G-d even publicly saved him from certain death (according to most opinions). He has devoted his life to teaching belief in G-d.
Ok, change in plans; it’s time to go. 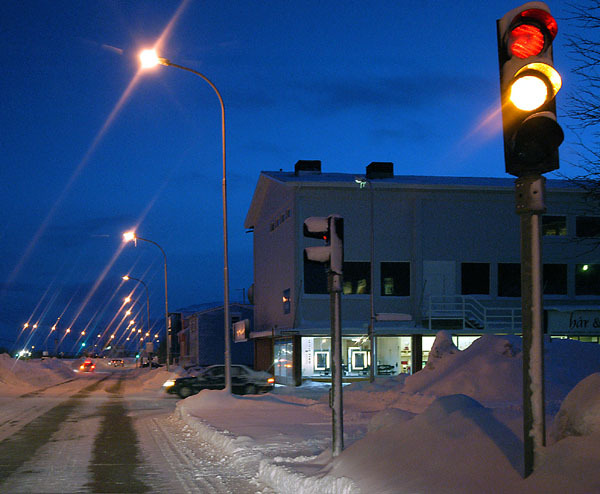 Don’t ask where – it will be fine, and this way less people will want to come with you. The man says, it’s all about You, G-d. I’m ready willing and able to go… and he does. He packs up and heads out of town. "Where are you going" they ask. 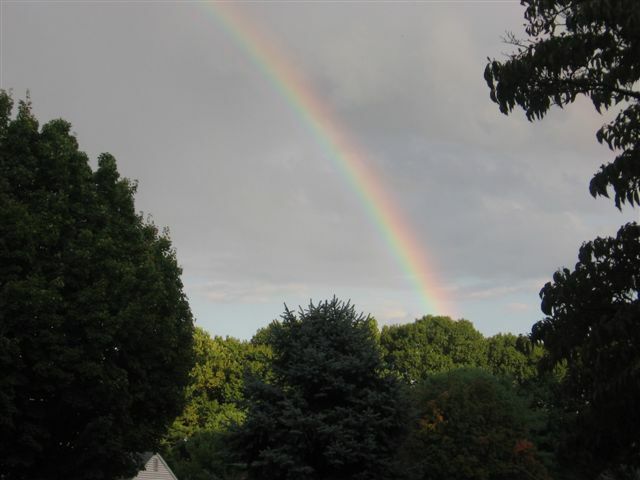 "Wherever G-d wants,” he answers. He has been telling people about G-d forever, I don’t know if they were all that shocked now. The time had come for change, and for change to happen he needs to make a physical change as well… he needs to change location, cultures, food, water, mazal, everything. In this case change is good, and so he goes – but he doesn’t go for any reason beside one: He really believes. G-d is real and live, the reasons don’t matter, only G-d’s will matters. You see, that’s who Avrohom is. But I think we often misunderstand what was unique about the first Jew. 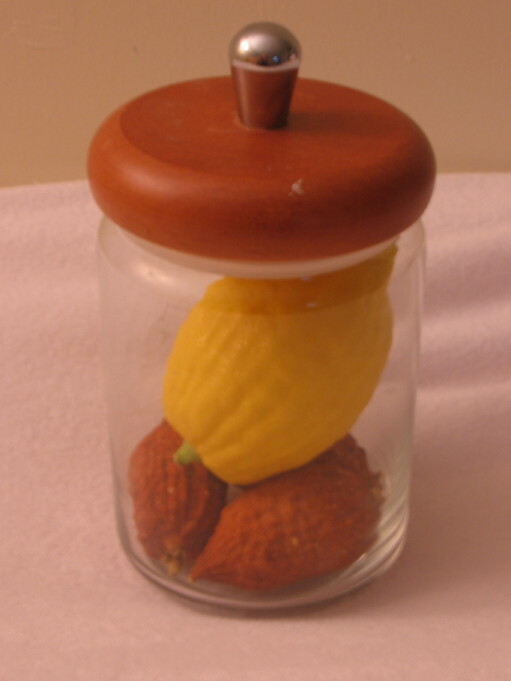 What makes Avrohom so special anyway? Avrohom took his religion seriously – unlike ever before. 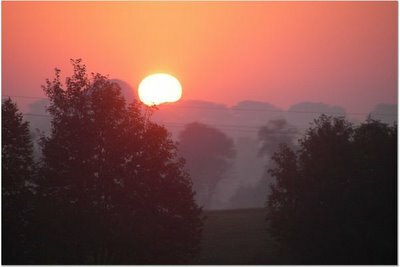 When he considered the sun as G-d, he served it with devotion – but at night it left him empty and alone. How could he go on without G-d? The same problem with the moon, or any other possible G-d that he crossed off his list. Others were unable to understand his problem: “So? Pray to multiple gods” they said. They had no problem: so what if each god wasn’t all powerful? But Avrohom did. He was looking for the real thing and he meant it – he couldn’t be satisfied unless he could experience G-d on the level of daas – he had to know Him, have a relationship with Him and devote himself to Him. The mashul sounds like one of those famous Novhardiker "tests" that the baalei mussar used to put themselves through in order to develop their midas ha'bitochon or to improve their midos, etc. Surely Avraham Avinu was a shining example to us of emunah u'bitochon. To respond to CE, though, another great midah of Avraham Avinu was his kiruv efforts. I'm not so sure that Shem v'Ever lacked the midas ha'da'as that you zero in on (which certainly Avraham Avinu also possessed to a high degree). Yet Shem v'Ever, as great as they were, had their quiet little yeshivah, while Avraham Avinu went out of his way to bring people back to Hashem, even ovdei avodah zora (whom we, too, might be required to work with if not for the spiritual risks involved). So I would submit that this was the outstanding trait of the first of the Avos: "l'man da'as KOL 'AMEI HA'ARETZ ki Hashem hu ha-Elokim, ein ode!" Imagine that one day you get a direct, unequivocal command from Hashem: "Go!" Since He is the Creator of the universe, you really don't have much choice, so you obligingly reply, "Ok, but where to?" The Almighty answers, "Just go. When you reach your destination, you'll know." It's very unsettling to go without knowing where you're headed for - but once again, it's not really in your hands. So you pack your suitcase and bid your family farewell. "Where are you going" they ask you. "I have no idea, but I'll know when I get there." If this feels strange to you - who received a direct command from Hashem - you know how insane you must appear to others! Yet still you go. You take a taxi to the airport and go to the first desk you see. "I'd like to buy a ticket for the next plane out please." "Yes, where would you like to go?" "I don't know. Just get me a ticket on the next flight." "Oh, I see," answers the agent, giving you a strange look. She peruses the schedule and put you on the next flight going out, going to... Well, what's the difference as long as you go. That's what you were told to do, right? Finally you arrive at your destination, and collect your baggage. You walk out of the terminal and begin to consider your next step. Suddenly a car pulls up, and a bearded man with a yarmulke perched on his head peers out at you from the window. "Hey, Reb Yid! What are you doing here? Where are you going? "Well to tell you the truth, I don't know. I'm just going. "What are you talking about? You have nowhere to go? Get in the car, you'll come home with me." Does this sound like a nice story line? Well, that's "lech lecha". To go, and not know where you're going. But in reality, the Almighty is always with you, guiding your every step, even though you may not always be aware of this. One who lengthens his table [and serves many guests] lengthens his days and years. "Something Special In Our Connection With European Yiddishkayt"
I think this issue is much more sharp in relation to baaley tshuvo. Those who were raised frum have their "baggage" from birth. They grew up and developed certain way. What should a baal tshuvo do, who "came from the Moon"? He has to learn many things (dinim and halochoys, yesoydoys hoemuno and etc.) 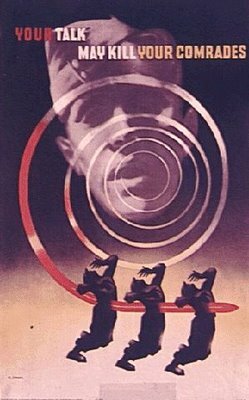 to become one who adheres to the Toyro. Very often one has to start when he is already an adult. But is it enough? What should he do with these "trimmings" how you call them? To say that Chasidus is above everything is a nice abstract idea, but it doesn't help in the least with this issue for those who don't have any "baggage" from before altogether! That's why I think there is something special in our connection with European Yiddishkayt. Baal tshuvo can't change himself according to Bovel etc. So this comparison is not so correct. 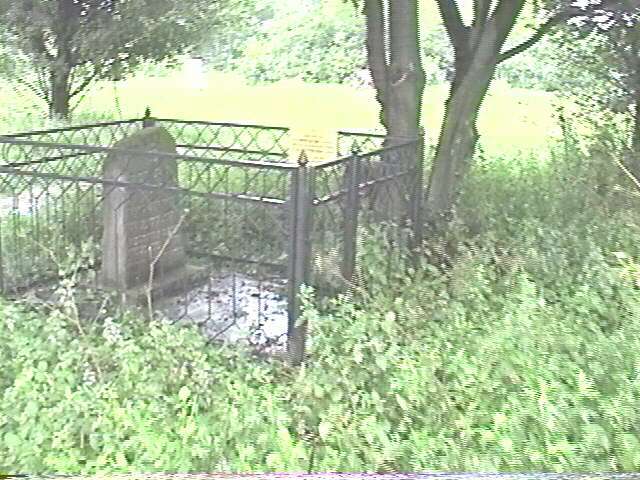 Right - all traditions are heylik, the one which was in Bovel as well. But our grandfathers and great grandfathers are much closer to us, than our ancestors from Bovel. Some fail to change fail these things altogether - they do learn, they do mitzvoys, but their "trimmings" are basically the same as before. Others change them as well, because the feel a deeper connection to Yiddishkayt in this way. But how can they be changed, or better to ask to what? That's where this issue is coming out in full force. During Musaf on the first day of Sukkos, an elderly chassid originally from Kharkov, Ukraine davened at the amud. I sat in awe at the beauty and tenderness of his voice. As I sat there listening to him, I wondered how the Chassidic world will change once all the elder generation of Chassidim who were born in Poland, Russia, and Hungary pass away. 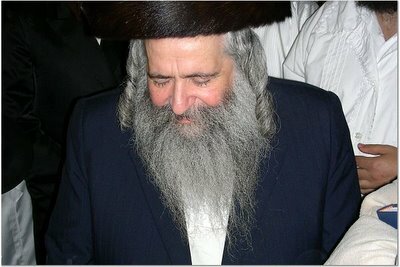 I approached this elderly chassid on the second day of Sukkos and asked him how he envisioned the character of the Chassidic world changing when we reached a time when the majority of Chassidim are born in the United States and Israel, and when they will not have an attachment to the generation born in Europe. This chassid answered, "It will only get stronger." I wish I could agree with the optimism of this chassid, but I tend to take a more pessimistic view. What do you think? How do you think the Chassidic world will change once we loose our connection to the generation that was born in Eastern Europe ? I'll keep up the age old Jewish tradition of answering a question with a question: What is our heritage? What is the specific significance of Eastern European culture? Jewish heritage has passed through many lands, cultures and eras. 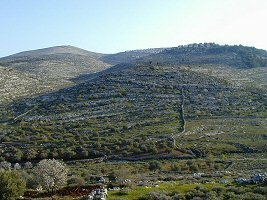 Is the Eastern European Jewish flavor more significant that Babylonian Amoraim, Holy Land Tanaim, Egyptian Ivrim, or Canani Avos? What of those? They were probably just as missed – should we not lament them the same way? Maybe we do. I think that the Kharkover Jew represents all those countries and places – because it all trickled down to him. So who are these lost Jews and cultures? They are us. We are all those things. 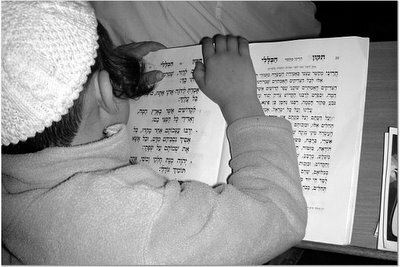 Modified, updated perhaps, but we – religious Jews of today – we carry on those tradition and bring them to our children. Are they the same? No. Do we lose something? Sure we do; that's the bumpy, curvy, road of history. It's never the same as the generation before – never – but we pick up some good things along the way as well. Nostalgia is a word precisely because this resonates so much – perhaps to Jews even more than to others. We feel attachment to places and people we never knew or visited – we only read or heard of them – but they are part of us, and will always be. We will miss that Eastern European flavor, I know we will, because we look at those individuals as the bearers of those past traditions to our generation in a new country – probably not that different from the many similar transplantations experienced by Jewry in our history. But we look at those people as a piece of ourselves, and an important one at that – of course we don't want to lose that link! But with all that said, it's the ideals that we believe in, not the trimmings, and the ideals will live on – and I agree and hope that it will only get stronger. And the trimmings? We have them as a part of our makeup, and were creating new ones. We pass it all along with that ever growing package to the next generation, just as the last one passed it on to us. I agree with what you wrote, Chabakuk Elisha. 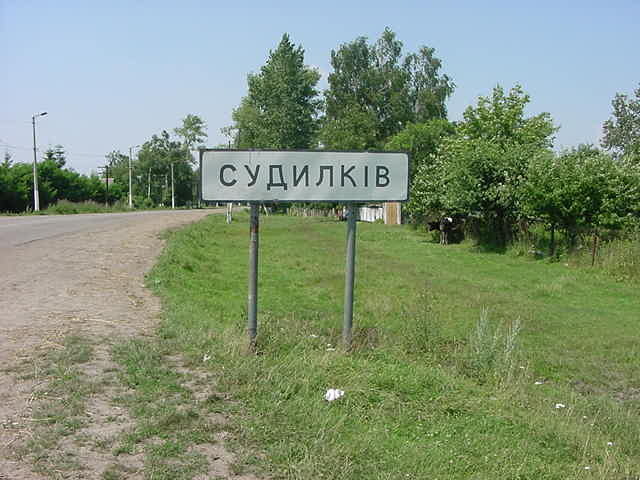 But given the fact that Chassidus began in Podolia and Volhynia (Ukraine) and spread throughout Eastern Europe, it has a distinctive character that ties it to that particular region. 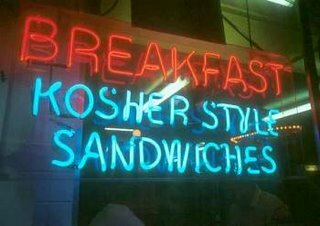 How specifically do you think American and Israeli-born Chassidim will change this "Eastern European flavor" in the future? Our environment has a great impact on out thinking. Avrohom Avinu points this out on his way to Egypt when the passuk tells us that Avrohom recognizes that Sara is a beautiful woman. 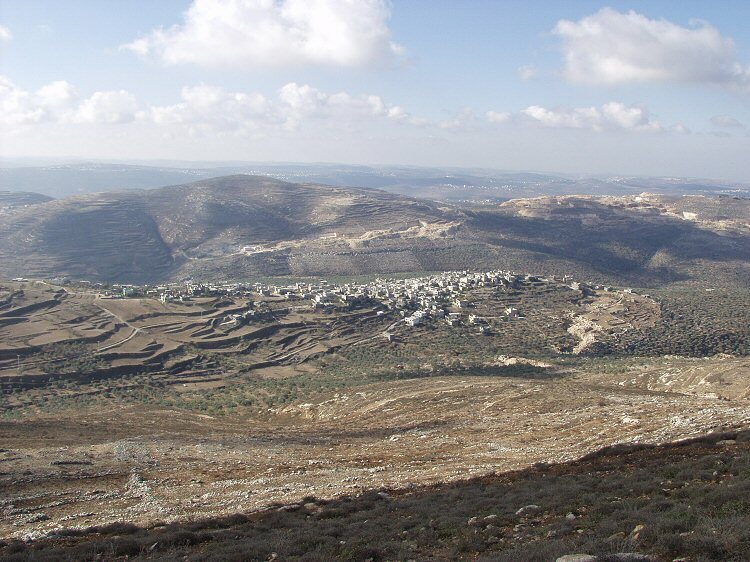 Meforshim tell us that Avrohom was unaware of this before, but when he came to Mitzraim – the land of immorality – he suddenly recognizes her beauty. Why? 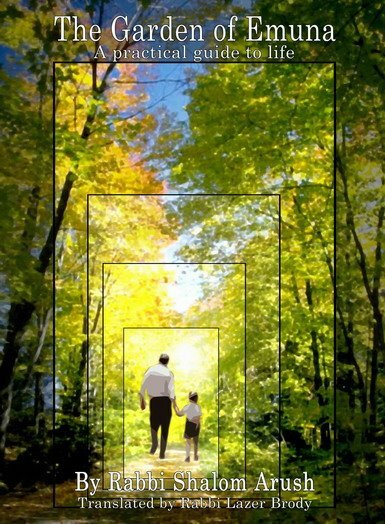 Because our surroundings affect us – as the saying goes "vi es goy't zich, yid't tzich." Basically the secular culture and values get adopted and added to our identity – often even subconsciously. Accent, pronunciation, clothing, attitudes, emphasis, it all provides color and feeling – and it all is changing. Take a kid from a chassidishe home in Williamsburg, Crown Heights & Yerushalayim, and you will see many differences in all these areas. Of course, accents differ in all different parts of the world, as do attitudes etc. There seem to be recently adopted American ideals of tolerance (live and let live), freedom and independence; that's fairly new. Liberal charity is a VERY new phenomenon – in Europe, people who had it tended to keep their money. I don't know really, it seems that we can see gradual opening of closed communities, lessening of once tight rules, more open/broad mindedness, perhaps less emotion, an unprecedented (perhaps misplaced) feeling of comfort in our environment… These things were probably not commonly found in European Chassidic communities. 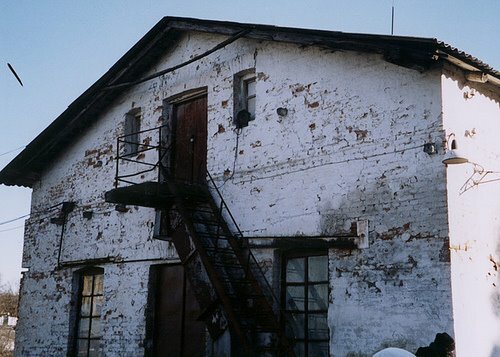 The fact is that specific place & character is so transient… Chassidus as a derech is higher than a space or time – it is no less tied to a place, flavor or culture than it is tied to a year or a place in history; just like it's not 1812 forever, time has moved on, so too has the place and flavor "moved on." Also, Chassidus had long since moved into Russia, Poland, Galicia, Rumania, Hungary, Israel, etc, and they each have had their own flavor and character for some time now. Judaism as a whole has done and continues to do the same. Were all a work in progress, so if you find something meaningful – enjoy it while it lasts! Why should you consider yourself better than other people? If it is because of your upright stature, everyone was created in the image of G-d, just like you. If it is because of your family, all of us are the children of one man, the children of Avraham, Yitzchak, and Yaakov. If it is because of your wealth, there are many people more empty-headed and impulsive than you who are wealthier than you. In addition, it is G-d who makes people poor or wealthy. Do you know what parsha it is this week? 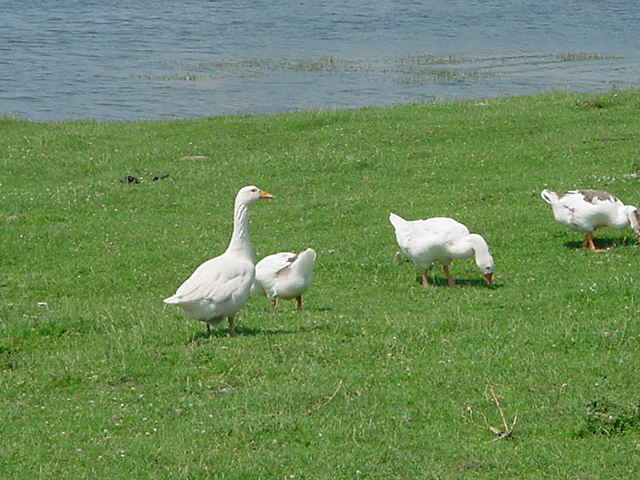 It is Parshas Noach! Do you know what parsha it is this week? 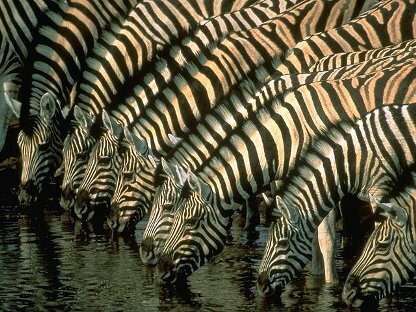 It is Parshas Noach! Do you know what parsha it is this week? It is Parshas Noach! Do you know what parsha it is this week? It is Parshas Noach! Do you know what parsha it is this week? It is Parshas Noach! Do you know what parsha it is this week? It is Parshas Noach! Do you know what parsha it is this week? It is Parshas Noach! Do you know what parsha it is this week? It is Parshas Noach! Do you know what parsha it is this week? It is Parshas Noach! Do you know what parsha it is this week? It is Parshas Noach! Do you know what parsha it is this week? It is Parshas Noach! Do you know what parsha it is this week? It is Parshas Noach! Do you know what parsha it is this week? It is Parshas Noach! Do you know what parsha it is this week? It is Parshas Noach! Do you know what parsha it is this week? It is Parshas Noach! Do you know what parsha it is this week? It is Parshas Noach! Do you know what parsha it is this week? It is Parshas Noach! Do you know what parsha it is this week? It is Parshas Noach! Do you know what parsha it is this week? It is Parshas Noach! Do you know what parsha it is this week? It is Parshas Noach! Do you know what parsha it is this week? It is Parshas Noach! "Losing Part Of The Mitzvah?" 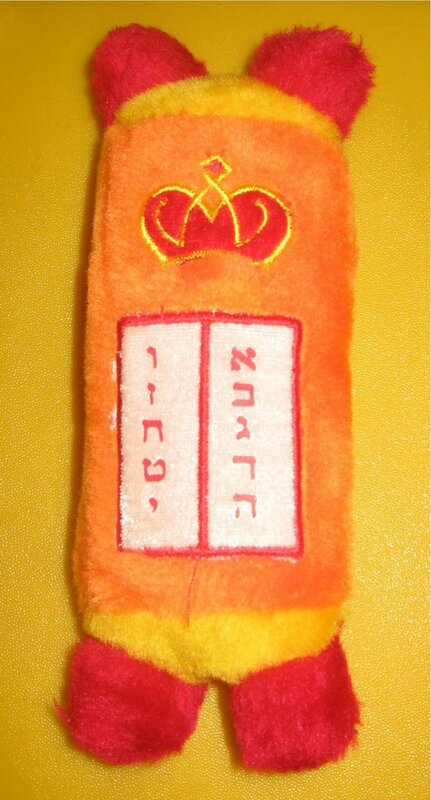 In the mitzvah of meiser sheni, we transfer the kedusah of the meiser to a coin. Just as trumah is holy and can only be eaten by the kohein, no substitutions allowed, meiser is as well, though substitution is allowed. Substitution, however, involves a physical object. If I empty and count my tzedakah box and substitute a check, which I then send to the charity organization, seems straightforward. But if I do the same thing and then go to the charity's web site, use my credit card and make an online payment in the amount, the charity has certainly received the value but there is no physical object involved in the transfer, no substituted physical object that moves from my possession to the possession of the charity in conveying the value. While ASJ makes a nice chinuch point about using a checkbook, with older children they can see me go to the web site and understand (somewhat) credit card value. But by having eliminated the physical substitution, are we breaking the physical custody chain and thereby actually losing part of the mitzvah? Online banking has many fantastic advantages. 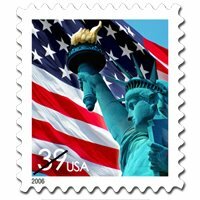 The opportunity to pay bills via one's computer is extremely convenient and it also cuts down on the need to spend money on postage stamps. Last week for the first time, I used my bank's online service to send tzedakah to Eizer L'Shabbos. After reflecting on this new way of sending money, I reconsidered using the computer to give tzedakah since it prevents me from using each check as an opportunity for teaching my children. 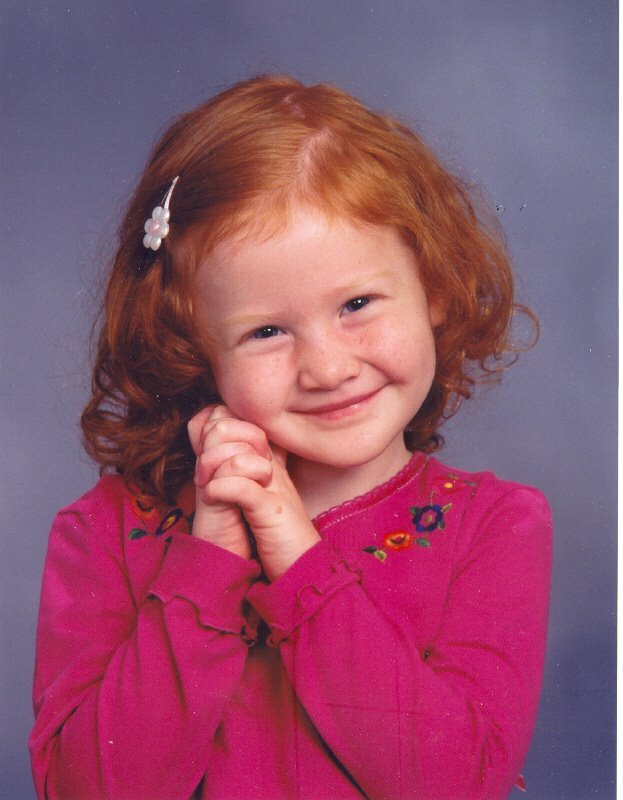 My four year-old daughter immediately asks me who I am giving tzedakah to whenever she sees me get out the checkbook. Each time, I explain to her that I am sending money to the "nice man" to help him give out more boxes of food to poor people in Eretz Yisroel. She asks to lick the envelope, seals it, and then takes pride in doing her part in the mitzvah. I realized that all of this would be lost if I simply used the computer and sent money with the click of a mouse. Children need something tangible in order to understand. For this reason, I am also grateful that Eizer L'Shabbos uploads videos of their activities on their website. This enables me to show my children exactly how the money we send is used. G-d willing, one day I will be able to take them to see this firsthand with their own eyes; allowing them to understand that it is our obligation to use the money Hashem gives us to help others who are in need. UPDATE: I spoke with Rabbi Rosenberg on Tuesday afternoon and he is now at home in Tsfat in bed recuperating after being hospitalized for "royz" (cellulitis) in his leg. He still continues to take calls from people in need and is doing his best to arrange to get food packages out to people. Rabbi Rosenberg told me that Eizer L'Shabbos is still trying to recover $20,000 in debt that the organization sustained as part of their Sukkos campaign. He also wanted me to remind readers that they can sponsor a small family's Shabbos meals for $50, and a large family's Shabbos meals for $100. Additionally, yearly sponsorship for a small family amounts to $2,600, and $5,200 for a large family. It appears to me that sadness and depression are also a form of idolatry. Don't Stop Davening For Them! What is being done to return them now??!! "The Divine Presence glistens from the pages of The Garden of Emuna, which is full of spiritual arousal and practical advice for the strengthening of emuna in everyday life, all derived from reliable sources that walk in the path of holiness…Every person will derive benefit from this book, for there is no limit to the obligation to learn and relearn about emuna until it becomes internalized in the heart." Yitz commenting on "Who Can Say Who's Experiencing Deveykus?" Smashed Hat wrote, "But who is creating new niggunim in the traditional styles that are as deep as the old ones? This worries me." Ah, finally someone is bothered by this! BUT, THERE IS HOPE, and IMNSHO, there are not too many addresses for this. But by far, the top of the line is: the Modzitzer Rebbes. For 5 generations now, they have composed dozens of niggunim each and every year. As I've mentioned on my blog, each year there are usually between a dozen and a dozen-and-a-half niggunim for the Yamim Noraim alone. 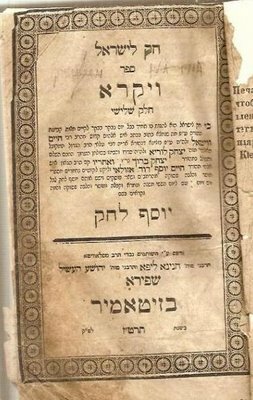 The previous Rebbe, the Nachalas Dan, composed 19 new niggunim last year, before suffering a stroke which he was eventually niftar from. Baruch Hashem, they were recorded and sung for the Yamim Noraim. This year, the Rebbe Shlita composed 10 new niggunim for Rosh Hashana, the 10th one was actually composed on Yom Tov, and he taught it to us at the Tish on the afternoon of the Second Day. They usually compose another 10 or so throughout the rest of the year, for Yom Tov, simchos etc. The newly-established music institute [Machon L'Musika] has collected over 3000 Modzitz niggunim, so far! So come to a Tish in Bnei Brak, or at least go to the Modzitz Shtibel in Flatbush [Coney & L], where Reb Ben Zion Shenker davens. RBZ has composed several hundred niggunim himself! 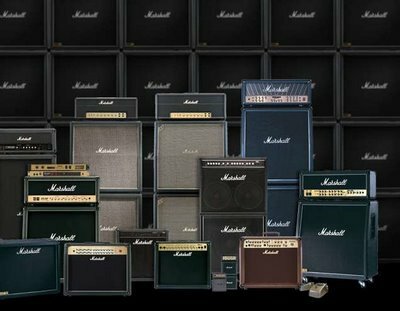 I spent some time last night on the Modzitz website listening to various niggunim. While I certainly can appreciate the beauty of melodies such as Modzitzer Waltz, I have a trouble getting past the instrumental accompaniment that strikes me as a bit antiquated. This is by no means a criticism of the niggunim themselves, Modzitz, or Ben Zion Shenker. I simply don't think the musical accompaniment do these niggunim justice. I also think Jews who were raised listening to secular popular music will find it difficult to listen only to this balad style recording. When I hear the niggunim of Modzitz in a more "modern" context on Andy Statman's CDs it definitely helps me to appreciate them better. Perhaps you are correct when you say the very best way to experience them is live in Modzitz! Do not be an ingrate. Honor anyone who has opened a door to help you seek your needs. "Who Can Say Who's Experiencing Deveykus?" Smashed Hat commenting on "Cross-Pollination"
Davening is such a subjective thing -- who can say who's experiencing deveykus? But to judge from outer appearances, there are still a number of Chassidic groups and smaller chaburas that stress intense davening: Breslov, Toldos Aharon, Toldos Avraham Yitzchok, Slonim, Karlin-Stolin, Stutchin (54th St Borough Park), Emunas Yisrael (16th Ave Borough Park), Rav Zilberger's chaburah (Yerushalayim), Rav Ehrlanger's chaburah (Yerushalayim), etc. The Rebbes and roshei ha'chaburos of these groups do speak about deveykus, at least much more than in the broader "frummer velt." But the emes is I davenned in Chaim Berlin on Simchas Torah morning and found it to be a high quality davening, too. This probably reflected the fusion of Mussar and Chassidus that Rav Dessler was recommending. In the final analysis, it really depends on the individual, not so much on the group, just as long as the group situation is congenial to davening more deeply. 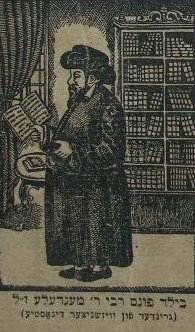 Maybe the criticism of contemporary Chassidus was not so strictly centered on davenning but in general on the de-emphasis of individual avodah, involving hisbodedus / hisbonenus / cheshbon ha'nefesh / limud pnimiyus ha'Torah in depth, and the dominance of the kehillah aspects of Chassidus, keeping away from secularism, and emphasis on kedushah. All of this existed in the past, too, but maybe the emphasis has shifted. Especially after the Tzanzer Rov and other great Rebbes of the mid-1800s decided that "mysticism for the masses" was not succeeding, and began to put this stuff under wraps for those who were real mevakshim and who prepared themselves properly. As for niggunim, it is true that Jewish music took a nose-dive here in America. I think the niggunim are still sung with hislahavus in Chassidishe shuls, and Borough Park is much better off than Flatbush in this department. But who is creating new niggunim in the traditional styles that are as deep as the old ones? This worries me. "Contemporary Chassidus lacks the component that was once at its core: Avodas Hashem with dveykus. All that remains is the external form of Chassidus, something that appears like hislahavus. There is nigun, but the soul of nigun is no longer. Hitlahavus in davening is almost a thing of the past. For today's era, there remain only one alternative: To take up everything and anything that can be of aid to Yahadus; the wisdom of both Mussar and Chassidus together. Perhaps together they can inspire us to great understandings and illuminations. 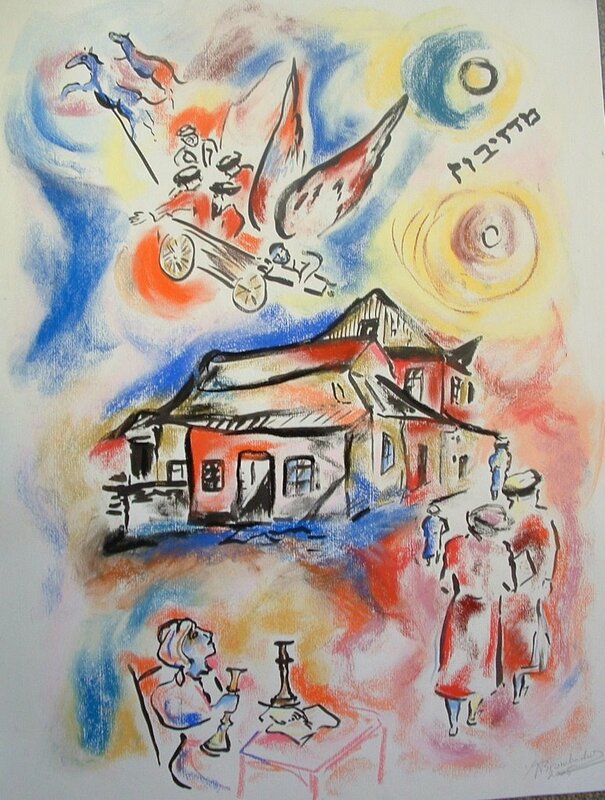 Perhaps together they might open within us reverence and appreciation of our holy Torah. Perhaps the arousal of Mussar can bring us to a little Chassidic hislahavus. And perhaps the hislahavus will somewhat fortify one for a Cheshbon HaNefesh. Perhaps through all these means together we may merit to ascend in spirituality and strengthen our position as Bnei Torah [adherents of a Torah centered lifestyle] with an intensified Judaism." Last week, Soccer Dad e-mailed me and asked me if I would be attending the Uncle Moishy concert in Sunday in Baltimore. I replied that I would indeed be going just like I did last year. I also told him that since my parents, who are unaware of my blog, would be accompanying us, that it was not an ideal situation to meet since I would not be able to mention "A Simple Jew". Yesterday, I e-mailed Soccer Dad and asked him where he sat during the show. He replied that he was sitting in the sixth row on the left side of the stage. I responded that I was in the second row on the same side and asked him if he noticed a little red-headed girl up front. Soccer Dad replied that he had not seen my daughter but he did notice "a woman who was playing with a baby in one of the front rows." This was my wife bouncing my youngest daughter on her lap. Amongst a thousand people, Soccer Dad and I were in the same place at the same time; four rows apart - both blending into our surroundings. Hopefully one of these days we will get a chance to meet in person. "99.5% Of What I Listen To"
Man is directed unto the path of his choice. "G-d Wants Us NOT To Daven"
The Slavuta printers, while in jail for the trumped up charges against them, found themselves in the predicament of being unable to daven. The cause for this was that they were in a single cell with many prisoners - common thieves and the like - with no bathroom. Instead they entire cell would share a pail to relive themselves in, and needless to say it was full of human waste. Due to these circumstances, it was halachically forbidden to daven there. One of the brothers (I don't remember which one) was so depressed about this that he just sat there crying. His brother asked him for the reason for his tears, and the reply was that he was devastated that he couldn't not daven properly. The brother replied: "There is nothing to cry about! We daven because G-d wants us to, but in this case G-d wants us NOT to daven. Therefore, by not davening properly, we are fulfilling the same goal - fulfilling G-d's desire! This isn't something to cry over - it's something to celebrate! With that, the brother picked up his brother and they began to sing and dance in ecstasy. The cell mates watched this and ask for the cause for celebration, and the Shapiro brothers pointed to the pail. The cell mates didn't understand the significance, but they too began to sing and dance, until the noise was so great that the guards came running to investigate the matter further. 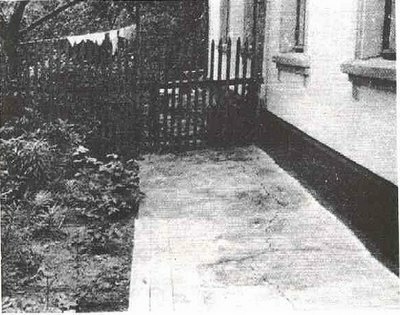 The guards looked around and demanded to know what was going on - to which everyone pointed to the refuse pail. In anger the guards grabbed the pail and removed it from the room - ending the celebration. As calm returned to the cell, the brother tells the formerly depressed brother "Well, brother, now you can put on your teffilin and daven." The Muqata: Jewish Practical Innovation Starts HERE. Why didn't Hashem make everyone Jewish? Just as the evil inclination tries to incite a person to sin, it also incites him to be overly righteous. Reading an recent editorial entitled "For a kinder, gentler Judaism " made me think about a sensitive halachic issue at the shul where I daven. In her editorial, Linda Maurice wrote, "My 100-year-old observant grandmother did not go to shul on the first day of Rosh Hashanah this year. She did go on the second day. The reason for her absence the first day was not due to illness, but because her Orthodox rabbi did not want her to attend if she had to arrive in a wheelchair." Linda Maurice's grandmother instantly made me think of "Shalom", a middle-aged paraplegic man who davens at my shul. 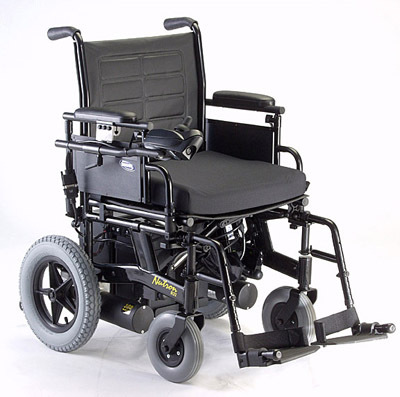 Each Shabbos, Shalom's non-Jewish nurse drives him to shul and he makes his way inside with the help of his electric wheelchair. I realize that this immediately raises many halachic problems since it involves violation of Shabbos prohibitions, and that Orthodox rabbis would counsel him to refrain from doing this. I also realize that Hilchos Shabbos will never be revised to make an exception for cases such as Shalom. Despite all of this, in my heart of hearts I truly empathize with Shalom's situation. I will never even begin to understand the difficulties he faces in his life. I will never know the specific reason why Hashem chose to send Shalom's neshoma down into this world and what his mission is. Does Hashem prefer that Shalom stay at home and not be in his electric wheelchair during Shabbos, or does Hashem understand Shalom's motivations for wanting to daven with a minyan on Shabbos even though it involves breaking Shabbos? I am not even going to pretend that I am on such a lofty level that I could even give Shalom rebuke. I don't have any answers; only questions. How one conducts himself on Shabbos Bereishis affects the rest of the year. Life-Of-Rubin: Shlomo Katz Jewish Music Videos on YouTube! Wherever I see deficiency, I see a lack of prayer! Where I work, my coworkers often bring food to work for everyone (when they have a child, or when someone is leaving for greener pastures, etc). Out of consideration for the frum people, they often go to the trouble to get kosher food.... however, the usually get cholov stam or food from a "kosher" place that hasn't got a hashgocha that I ever heard of. Some of the more modern guys might eat it, but there are a couple of us that won't. What do you say in these situations? I dont want them to be insulted, so I make light of it - and they dont get outwardly upset at all... but I dunno what they're really thinking. What I cant understand is why they don't ask beforehand, but in any case what do you usually say? The fact they don't ask beforehand is a big issue and this is what I faced with my brother-in-law recently at the anniversary brunch. The issue you raise is a real problem because for the non-observant Jew or for the non-Jew, when something is kosher, it is kosher. They simply don't understand gradations of kashrus. If you try to explain Pas Yisroel or Cholov Yisroel you often come across sounding like a Martian and you get a glazed-over expression in response. To be quite honest, I do not have this problem in my office since I am the only Jew who keeps kosher and people generally know that I will not touch 99.9% of what they bring in. The only thing I eat is when I see the box with a clearly labeled hechsher.....that, or sodas like Coke. I am sorry that I could not be of more help. Request For Reader Feedback - How would you answer? I have always appreciated the beauty of Chabad's niggunim and felt that over-produced recordings that feature the use of synthesizers did them a great disservice. The 2001 piano renditions of these niggunim contained on "Songs of Our Souls" by Richard Samuels was the last time in my memory that someone did these niggunim justice. C Lanzbom and Noah Solomon's recent release "The Chabad Sessions", however, has once again allowed us to appreciate these niggunim for what they are. In the liner notes, Noah Solomon wrote, "Although we took some musical liberties with intros and the music surrounding the melodies, we tried to keep the purity and essence of the songs true and as close as I remembered from my childhood." "With this recording I went back in time to my early childhood years. 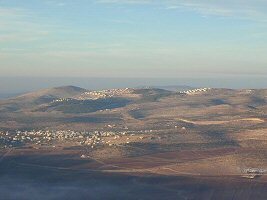 My parents moved to Israel when I was four years old and we settled in Moshav Modi'm. I was sent to a Chabad School in the nearby city of Lod. Singing is a big part of the Lubavitch traditions: it was there that I first experienced singing spiritual melodies within a large group." I highly recommend this CD. What makes it so enjoyable are Noah Solomon's vocals and the high quality of the musicianship. I especially liked the Sephardic feel to the songs "V'Chol Karnei" and "Ato Hokeil" which features a slide guitar accompaniment. I am ashamed to admit that I had never listened to C Lanzbom and Noah Solomon's music until I heard this CD, but now I will be sure to check out their other CDs as well as the CDs from Soulfarm. I had great hopes for the new CD "Ananim" from The Nochi Krohn Band. While I listened to this CD for the first time as I ran on my treadmill, and another few times commuting to and from work, my overall impression did not change. Unfortunately, not too many songs on this CD stick out in my mind as being memorable. Much of it sounds similar to other recent Jewish music releases. "On December 1, 2001, my brother Shimshi and I went with our friend Reuven to a busy outdoor cafe in Yerushalayim. The cafe was crowded that night, and our usual table outside was unavailable. We opted to sit inside, directly behind our regular table, rather than wait until our table became available. Soon after we sat down, two suicide bombers blew themselves up thirty feet away, killing eleven. Miraculously, the three of us walked away without physical injury. As for the two young men sitting at our usual table: one suffers from severe brain damage to this day, and the soul of the other was taken back to our Creator. I dedicate this song in the memory of Moshe Michael Dahan z"l, Hy"d."
I would like to give this CD a higher review, but I cannot. There is certainly potential here still waiting to be tapped. Perhaps we will hear this in their next release. Update: After listening to this CD again today I determined I was a bit harsh with my review and have updated the overall rating to a B-. Songs such as "Mah Rabu", "Ki Heym Chayanu", and "Uvney" are certainly worth listening to. Any fear of something in the external world that rises in a person’s heart is actually G-d’s right arm outstretched to rouse him to an existential fear of G-d. Thus, when a person becomes aware that this fearful experience is really G-d’s kindness meant to rouse him, this fear is transformed into love, because one then accepts it with love, and one is thus released from that fear. "One Can't Be A Chassid Without A Rebbe!" In Parshas Pinchas, the Degel Machaneh Ephraim teaches that the Ribbono shel Olam sends each and every generation tzaddikim and leaders to address the specific needs of that generation. I feel that my shoresh neshoma is bound with the Degel Machaneh Ephraim. 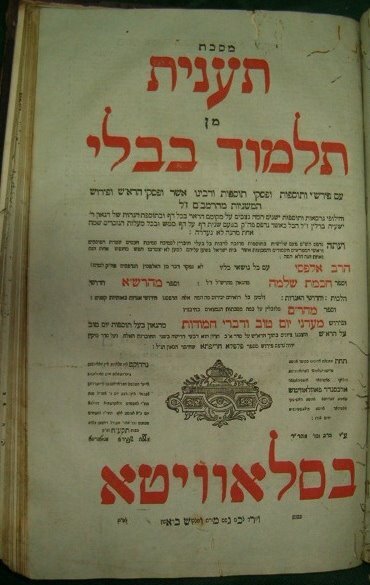 Since there are many tzaddikim alive today who are descendants of the Degel Machaneh Ephraim and carry on the Degel's path, do I need to pick one specific tzaddik, or am I misguided to "take eitzoh from here and there" from each of these tzaddikim? If you have faith, you are truly alive. The man without faith is not really alive. Evil befalls him and he loses all hope. There is nothing to cheer or comfort him, for he has no faith. He is outside of G-d's providence, and has no good at all. But if you have faith, your life will be good and pleasant. Mommy: It's time for night night. Let's go upstairs now. Lil' Tzaddik [while walking up the stairs]: Juice? Mommy: You are just trying to stall for time aren't you? 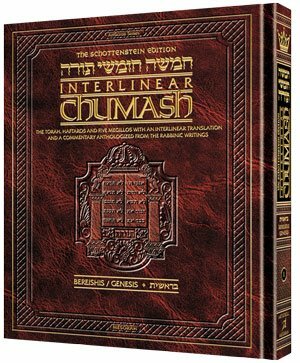 5:00 pm EDT, "Chassidus on the Parsha," stories, parables and teachings from Classical Sources on Chassidus including Noam Elimelech, Baal Shem Tov, Meor Eynaim, Kedushas Levi and many more, in the "Torah Chat" Room. 1 hour. 6:00 pm EDT, "Jewish and Chassidic Meditation," based on classics, Rabbi Avraham Maimonides son of Rambam, Piaseczna Aish Kodesh, Noam Elimelech, and the Chassidic Siddur Tefillah Yeshara (with the commentary of Keser Nehora and others) in the "Torah Chat" Room. 1 hour. 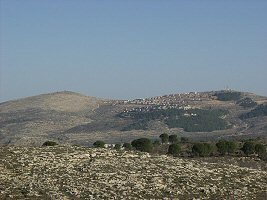 See more on VirtualYeshiva.com here. "Do you want your children to hear foul language from your lips? Do you want your home to be a place where shouts and curses are daily fare? And should you argue that you wouldn't curse in front of your children, you should know that you're kidding yourself. You just can't turn it on and off like that. No one can." These words really gave me pause and made me resolve to stop using profanity. I was able to rid my vocabulary of these objectionable words by fining myself $20 every time I swore. After two or three slip-ups, I quickly learned that I needed to think before I spoke. I then slowly weeded out other words from my vocabulary in favor of more refined ones; replacing "hate" with "dislike", "crazy" with "ridiculous", "stupid" with "silly" or "nonsensical", and in certain cases "love" with "enjoy" in order to use the word correctly. Interestingly, even though it has been five years since I have used profanity, I occasionally swear in my dreams and then immediately recoil at my use of such words. I continue to be amazed how words become embedded in our subconscious despite the fact that we never use them anymore. Afterthought: The word "coincidence" should not exist in the vocabulary of a chassid. One who listens to vulgar speech is punished severely for not closing up his ears and not separating himself from the company of those who speak vulgarity. Shalom ASJ. I just saw your post on dancing on Simchas Torah, and I really wanted to make this Simchas Torah joyous and leibedick, but I got sick (flu or cold)!!! I probably will not be able to dance... Maybe this is not your expertise, but I have no one else to turn to right now (2 hours left to Shabbos in E'Y). What do you suggest I do to achieve the tikkunim of Simchas Torah? I really wanted to dance leibedick this year (as opposed to few previous years)! Maybe you can ask Hashem to heal me on time... :) Seriously, every tefilla helps. Have a good Yom Tov! Amen! A joyous and leibedick Simchas Torah and a pitka tava to you and to all good simple Jews! I think I'm starting to feel a bit better B'H. B'H, went to shul, and was planning to only dance one circle but danced a whole (one) hakafa! "One Inch From Your Nose"
I've often used the analogy that when things happen to us in life, it's like trying to read a book that's placed one inch from your nose. If you're lucky you can make out a letter or two. As time distances us from events (and the book is pulled further away from us, if we are blessed) things become much clearer. I cannot tell you the deeper meaning of the dancing on Simchas Torah. But one thing I can reveal to you. 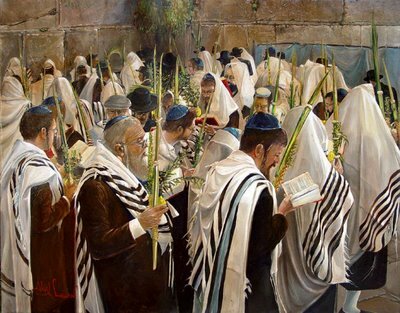 All the prayers that did not rise to heaven during the course of the year will soar upwards on Simchas Torah, propelled by the fervor of your dancing. During the time we are made to wait, we may be conscious that Hashem's ultimate kindness is hidden within it. Sometimes the reason for our waiting is revealed to us, and sometimes we never discover the reason why. While I will never know definitively, I am convinced that I was made to wait for a frustrating two months recently only to have information revealed to me that displayed Hashem's compassion for myself and for my family. In retrospect, I now understand the reason why I was made to wait. I realize that these words may be cryptic to those who are reading them, however, those who know me well will understand. And then there was the time that the Simchas Torah festivities were taking place in Medzibush. Simchas Torah at the Baal Shem Tov’s shul was an unforgettable experience. On this one day of the year, the Chassidim got so carried away with fervent dancing and drinking, that they were transported to other worlds. Even one such experience in the Baal Shem Tov’s shul was cherished for a lifetime. On one particular year, the joy was more pronounced than ever before. 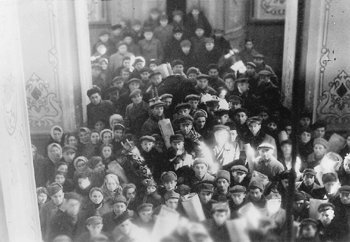 The Chassidim danced in a circle carrying the Torahs hour after hour. They actually felt the presence of the Shechina in their midst. After several hours, Reb Yaakov had to stop dancing because his shoe tore apart. He was miserable. It was just not the same looking on as being within the circle of Chassidim. Besides being his only pair of shoes, he was well aware that he would not be able to afford a new pair of shoes. 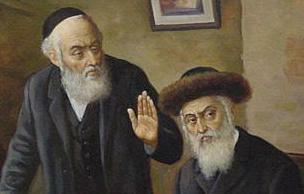 While such a promise would not normally be easily given, the Chassidim close to the Baal Shem Tov possessed powers similar to those of their Rebbe. After thinking for a few minutes, Reb Yaakov promised The Baal Shem Tov’s married daughter Adel that she would bear a son by the next year. She immediately brought him a pair of shoes. He put the shoes on and lost no time in joining his friends. 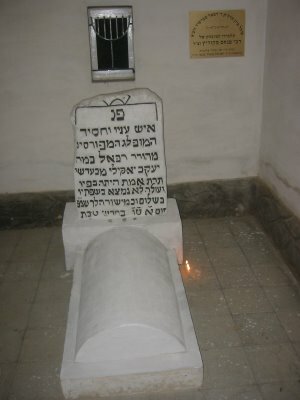 By the following year, Reb Boruch, the Baal Shem Tov’s grandson, was born to Adel and her husband Yechiel Ashkenazi. MoChassid's latest release entitled "U'Shmuel B'korei Sh'mo" is a compilation CD that features music by Chaim Dovid, Yosef Karduner, Ben Zion Solomon, Aron Razel, Shlomo Katz, Eitan Katz, Avraham Rosenblum, and The Nochi Krohn Band. On the whole, the song selection is excellent and the CD has an overall fairly mellow tempo. I had never heard of The Nochi Krohn band before and greatly enjoyed both of their tracks on the CD, "Melech Rachaman" and "Tzeitchem" [my favorite]. I also enjoyed the songs from Avraham Rosenblum [my Lil' Tzaddik's jumps around when he hears this one], Chaim Dovid, Shlomo Katz, and Eitan Katz. Yosef Karduner's song "Ha'aleinu" is a beautiful slow tempo song that really showcases his amazing voice. I only wish that "U'Shmuel B'korei Sh'mo" included some more upbeat Karduner songs. I felt that the inclusion of a Ben Zion Solomon niggun "Lecha Dodi" seemed a bit out of place and broke up the general flow of the CD. Additionally, although I am a fan of Aron Razel's music, I felt that the two songs that he contributed, "Yom Shabason" and "U'vamida" were not as strong as some of his other recorded material. Perhaps these could have been replaced with some of his other material or perhaps music by C Lanzbom and Noah Solomon. 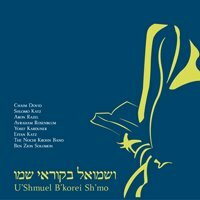 Don't get me wrong, "U'Shmuel B'korei Sh'mo" is a very good CD. Its quality sets it apart from many recent Jewish music releases. MoChassid has taken more than a few steps in the right direction with this CD and I hope we can expect more compilation releases from him in the future. 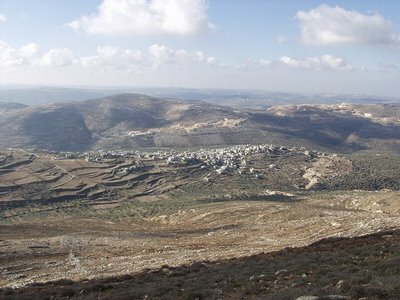 The letters of the Hebrew word mashul (parable) are the same as the word shalem (complete). At first, [when a parable is related] wisdom is very far from a person. Afterwards, the parable enables a person to become close and in a state of oneness with this wisdom. "Hearing The Music Of Pnimiyus Ha-Torah"
Rabbi Dovid Sears commenting on "Others Admitted It Was Lost"
I agree with most of A Yid's analysis. However, there may be something to the "ChaGaS" rubric if we understand it as applying to the external, social formula of Chassidus instead of the internal, individual-oriented derakhim in 'avodas Hashem. 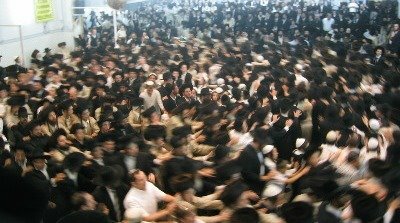 However, the derakhim of the great Rebbes and "baalei machshavah" as individuals speaking to other searching souls are very complex and diverse, and can't be simply pegged as "CHaBaD," or "ChAGaS," or "NHYM," either. 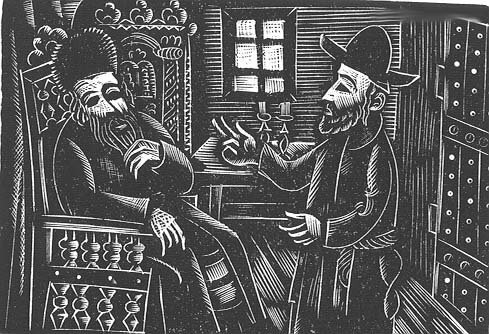 Ultimately, each tzaddik "hears the music" of pnimiyus ha-Torah his own way and tries to communicate it to those who share his shoresh ha-neshamah. May it be G-d's will that the fear of Heaven be upon you as the fear of flesh and blood. We should never insist that everything go just the way we want it. When a person says Tehillim every day, he has the tendency to revert to a "motor mouth recitation" instead of trying to connect with the words. For this reason, I always try to read books that help me better appreciate Sefer Tehillim. 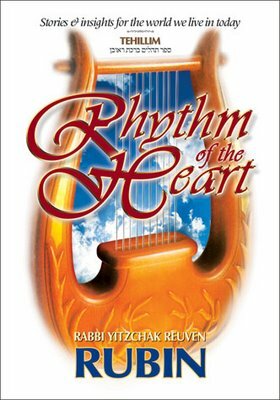 I was excited when I saw that Rabbi Yitzchak Reuven Rubin released a new three-volume set entitled, "Rhythm of the Heart: Tehillim: Stories and Insights for the World we Live in Today" that included both commentaries and stories relating to each chapter. This book certainly lived up to my high expectations and I recommend it despite its price. Each chapter of Rubin's book is a self-contained unit relating to an individual chapter of Tehillim. Thus, it would be difficult to simply read this book cover to cover. 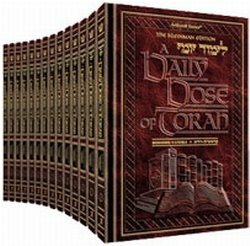 I have found that by reading a chapter of this book each day, I have felt that my understanding and appreciation of Tehillim has greatly increased. "Praised be he who contemplates the needy." (Tehillim 41:2) This refers to one who looks at a commandment to see how to best perform it, that it should not demean the poor person. It’s known that the holy Sanzer Rav zt”l, the Divrei Chaim, raised money on Erev Succos to distribute to the poor. When people asked the Sanzer Rav why he was raising money before Yom Tov, the Sanzer Rav answered that when people know that they have will money to buy wood to warm up the house after Succos they will definitely have Simchas Yom Tov. Yom Tov is approaching shortly and we want to give out food packages to around 500 families.